As 2018 draws to a close, one thing we can count on in the new year is that U.S. consumers will still have a lengthy list of needs for protection and longevity planning. Following are five ways to enhance life insurance client service in 2019. Some of the strategies are explained in more detail than others; yet, all of the tactics merit consideration as you seek to meet more client needs. With the recent repricing of some term products, the new year really compels us take another look at available solutions. After all, according to LIMRA, the No. 1 reason people don’t buy life insurance (or more of it) is that they think it’s too expensive.1 But, many consumers overestimate the cost. Let’s compare the costs of a daily cup of coffee to that of a $250,000 term life insurance policy for a healthy, non-smoking 30-year-old male. A person who bought a latte for $4, five days a week, would spend more than $80 per month. LIMRA’s 2018 Insurance Barometer Study shares that when consumers were asked how much a term life insurance policy might cost, they guessed more than $40 per month.2 The average cost for such coverage is approximately $13.33 per month,3 according to the study. So, the $80 that clients might spend on latte may cover the cost of a term life insurance policy and 16 cups of their favorite brew. LIMRA research also gives insight into the priorities of life insurance owners. It shows that their top reason for owning life insurance is to cover burial and other final expenses.4 As term life products are designed primarily for death benefit protection and don’t offer a cash accumulation feature, they’re a natural choice for many clients who are seeking death benefit coverage only. Furthermore, financial professionals who can help consumers access affordable life insurance products have the opportunity to foster relationships that lead to the meeting of additional needs. The matching of a term life policy to a client doesn’t have to be a one-time interaction with that person. Also, even if you typically sell another type of life insurance solution, you have the opportunity to grow your scope and service in 2019. With so many products available in the marketplace, finding the right product to match the unique needs of each client is also crucial. A client may have a willingness to consider buying a cash value accumulation product, such as index universal life (IUL). Conversely, you may find that a product which provides a guaranteed death benefit, such as guaranteed universal life (GUL), is a better option. GUL has become a “go-to” product for advisors looking for a permanent life insurance solution for their clients. The attractive, straightforward features of this product include guaranteed premiums and a guaranteed death benefit up to a certain age. However, many clients may be open to considering a form of IUL insurance – one with a protection focus and strong guarantees. But, when looking to match your client’s needs with the right product, it’s critical to clearly explain the differences and benefits for each product, particularly when choosing between GUL and IUL. While GUL benefits and features can be easily illustrated and, as long as premiums are paid, your client’s policy is guaranteed not to lapse up to a certain age, it’s key to help consumers understand that IUL insurance was created as a way to help provide cash value accumulation in up market years, while helping protect cash value in down market years. Another recent IUL product innovation is geared toward giving your client a protection-based focus by combining the potential cash value accumulation opportunities of IUL with the strong guarantees of GUL. Conducting a fair comparison and illustrations for each product can help you best determine with your client whether IUL or GUL is a product that fits their financial needs. However, educating your client on the benefits of GUL and IUL and matching the right product to the client isn’t the end of the customer service process. It’s still incumbent on you to help ensure the application is ready for underwriting. Before a new life insurance case can be evaluated by a carrier’s system for underwriting review, key information typically must be accounted for and answered correctly on the application. Double-check everything on the application to help avoid errors and omissions. Also, be sure to set expectations with clients, because for many policies, a paramedical exam is an essential step toward providing details that will determine insurance coverage. If ordering the exams for the client, you may be required to use a vendor approved by the carrier. Schedule the exam as soon as you have a signed application. Keep in mind, too, that to help facilitate a substantially decreased underwriting cycle time and a less-intrusive application process, some IUL and other life insurance products offer a non-medical underwriting option for proposed insureds who qualify. “Non-medical underwriting,” as described in this article, means that no in-person paramedical examination will be required of an applicant for life insurance. But, regardless of the type of underwriting that will be involved, the faster a case can be entered and processed, the faster it can be issued. 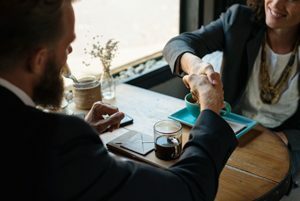 Of course, before you can submit a case, you’ve got to build a solid connection with the client or prospect. That’s not always easy if you don’t have a lot in common with the person. Yet, to meet more consumer needs, it’s becoming increasingly important to make and enhance connections with people who are nothing like you. The types of communication skills and outreach strategies you utilize can help you or hinder you. Understanding generational dynamics can ease the way to finding common ground with clients of all ages. When you tailor your interactions accordingly, you leverage the opportunity to not only elevate the service you provide, but also potentially grow your client base and referrals. Whether you’re seeking more information on generational outreach, ensuring proper case submissions, educating you client about insurance products, or educating about affordable solutions, online carrier resources and tools can be a boon. For example, one web-based tool is designed to help financial professionals pinpoint, in a matter of seconds, types of life insurance solutions that may be best, based on a client’s age, income and just a few other attributes. Use of the tool also generates outreach strategies, client insights and talking points. That’s just the tip of the iceberg. Look for a carrier-provided, one-stop shop for marketing ideas, videos and infographics, brochures, training modules, presentations and more.